Those days are long gone though. Since we like to visit family, we’ve had to figure out a few things to make the 8-12 hour road trips easier with toddlers. And by toddlers I mean, 4 kids under 5. Ha! 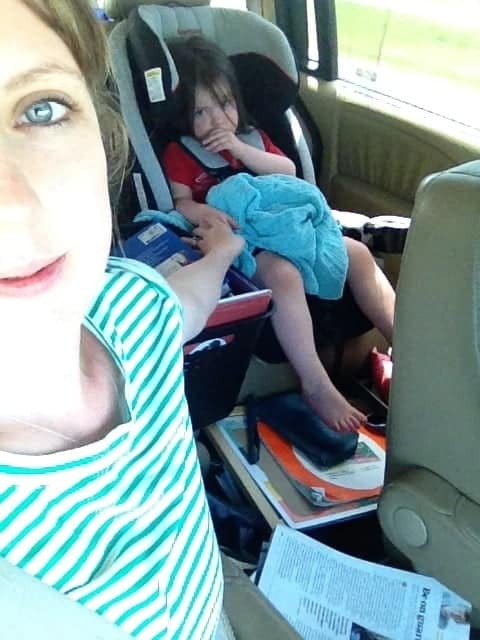 I was philosophically opposed to tablets + movies to entertain kids in the car. We did it when we were little, so can they. HAHAHA. This was obviously the philosophy of pre-parent Renee, back before I had kids, when I was the most perfect parent. Now, bring on all the movies. Our toddlers get bored and crabby with back to back movies, so we alternate between movies and other activities. It seems like around age 2 or 3, they start to enjoy a full-length movie in the car. Before then, it’s hit or miss on whether a movie will hold their attention. We NEVER let them watch movies when we’re just driving around in town, so they get super excited in anticipating movies for a long car trip. We go to the library or Grandma’s house and get a few old favorites, plus a couple new ones. d.) are a much better parent than me. Judge all you want judgey mcjudgerson. I have no shame. The key to the rest stop bag is don’t put anything in it that you need to get out while driving. Rest stop items only in this bag. For a 2 year old, I’d put mostly old favorites because they like the same thing over and over. As our kids have gotten older, we checkout fun new library books for the trip. It’s pretty risky traveling with library books, but ya’ know, gotta keep things exciting. Living on the edge, folks. Put a mix of old and new “hands on” activities in a box and keep it out of site. I used to put this box right next to Addie but I’ve found everything in it lasts longer if I give it to her one at a time and then she plays with it for a while on her own. Honestly, before the kids turn 2, we just bring a couple favorite baby toys and they do fine. Our babies have generally been pretty happy in the car except for the aforementioned projectile vomiting incident. 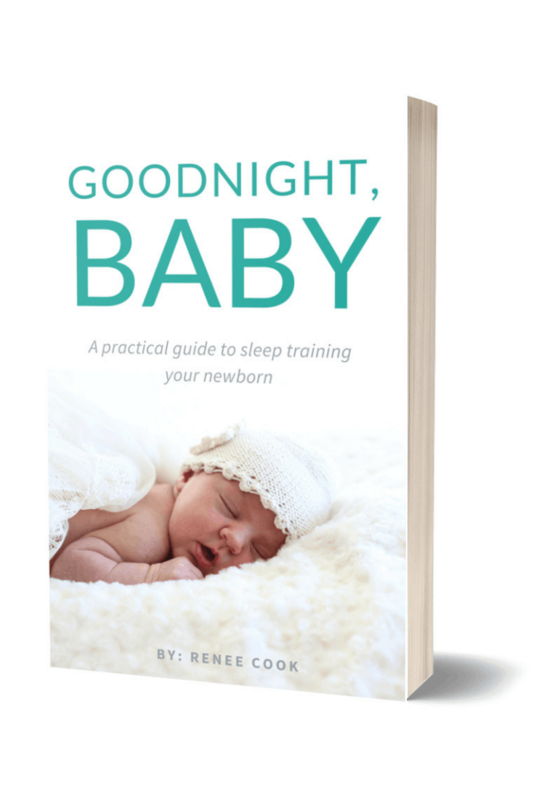 My theory is that sleep training from birth helps babies travel well in the car! As the kids have gotten older, a toy box has come in handy though. I usually get a couple new fun things from the Target dollar spot! Mini notebook with a new fun pen, pencil, and pack of stickers. These water wow things are AWESOME. But you need a way to refill the water… I use a plastic waterbottle with a sports type lid. Embroidery, toddler-style. 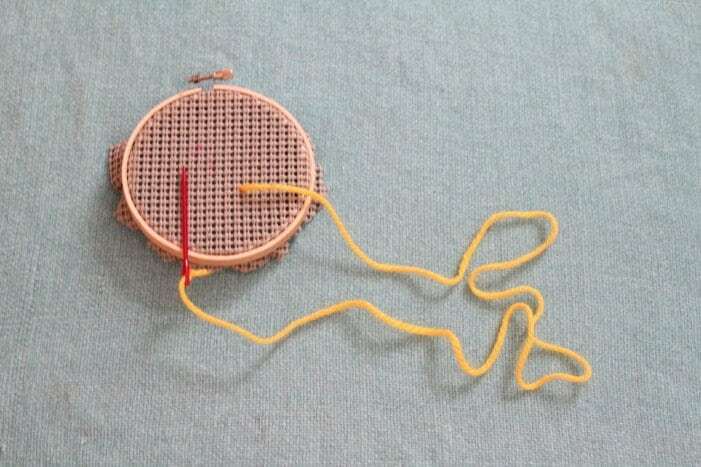 (plastic needle & hoop from hobby lobby + yarn) For the netting, I used some of that stuff you put down in your cabinet to keep things from moving. Or you can buy netting near the hoops at hobby lobby. Use your discretion on what would work for your kids depending on age/ responsibility level. If they can’t unscrew and re-screw a top, don’t give them do-a-dots. It only took 1 road trip with my 3rd child to realize markers were not a good idea for him. (The 1st 2 had done fine with markers.) Haha!! So, do what works for your kiddo! I had a bunch of page protectors from my teaching days and put each letter in a page protector. 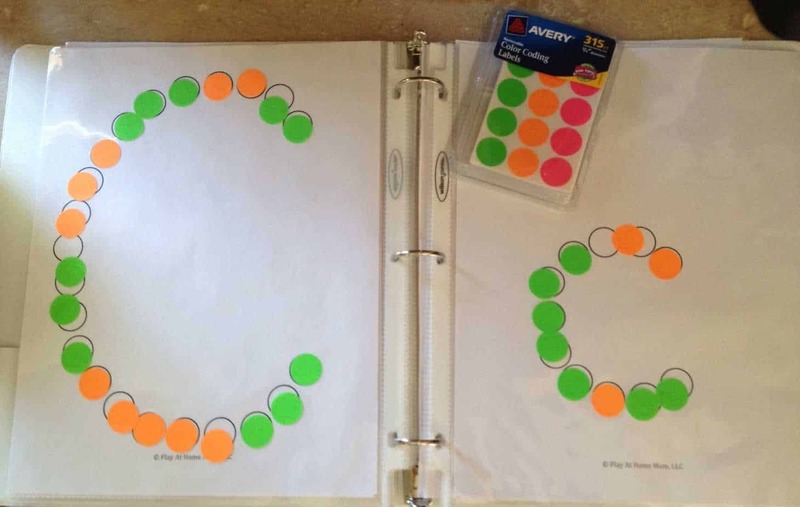 This makes it easy for your OCD child to take the stickers off and put them back on if they don’t line up right. Also, you can just peel off all the stickers and reuse them without reprinting the whole alphabet. Not sure if that’s worth the time… This activity is the one she’ll do for the longest period of time, hands down. The page shown below is from Play at Home Mom. 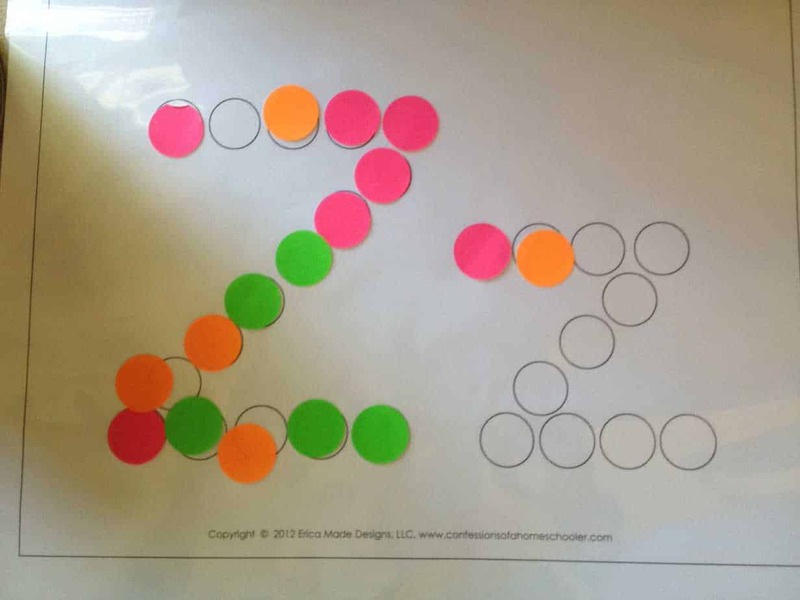 I purchased the downloadable file for $5 – it included the uppercase and lowercase alphabet as well as some various numbers and counting activities. 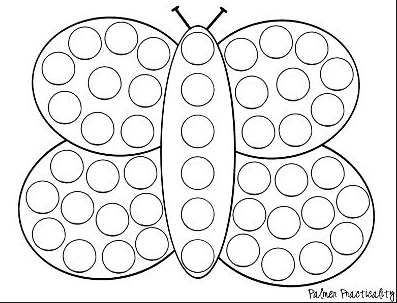 Palmer Practicality has a ton of great free printables designed for Do-a-Dot paints*, but they also work well with these $1 stickers for in the car! 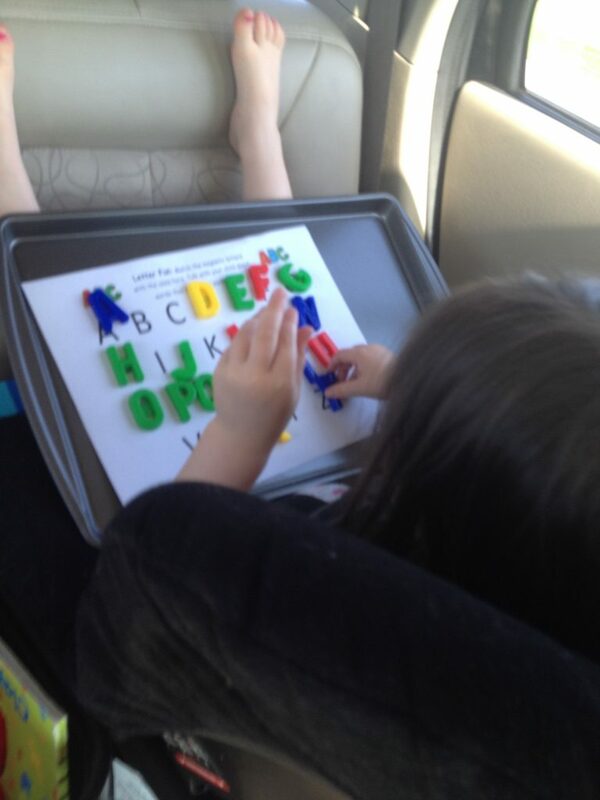 If your kid is trustworthy, the do-a-dot paints would be fun in the car too. They’re not very messy if s/he knows how to screw the tops on and off. 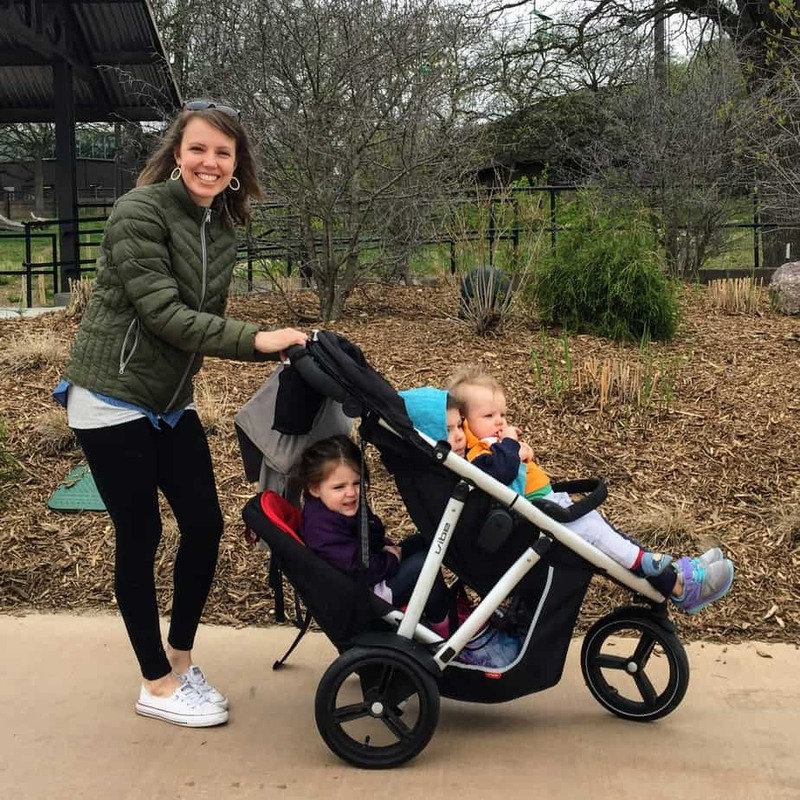 Though the conversation may not be as interesting or as intellectually stimulating as our pre-children car conversations, sometimes, I’ve noticed, our kids just want to be included. So we ask questions, reminisce on funny stories, sing songs the kids like, make up new songs, and talk about where we’re going and what we’ll do when we get there. #7 – Know it won’t be perfect & buy some noise canceling headphones. We’ve had kids get the stomach flu 4 times on road trips, once in a rental car. Crap happens (sometimes literally) on the road with kids. Embrace it. You’ll be there eventually. Hold a hand or let them cry, and perhaps invest in some noise-canceling headphones? What are your tips and tricks for travel with littles? Add your ideas in the comments below! This post contains affiliate links noted by an asterisk* If you purchase something through a link on my blog, I receive a commission at no additional cost to you. Using affiliates pays for the costs of operating this blog (and the rest goes to our student loan debt). You can read my full disclosures policy here. woah!! That’s a REEEEALLLY good idea!! I never knew what to do about carsick kiddos! Thanks for some good ideas! My only tip is for carsick kids. Our daughter easily gets car sick, but I found that putting something in the window (a t-shirt, windshield shade etc) to block the view seems to help a lot! It doesn’t allow her to see out, but it keeps her from getting dizzy and throwing up three times in five hours. We are heading out for a 2,5 month long trip (not all a road trip, but LOTS of time in the car anyway) and this time it’s with TWO kids. My son is now 4 (and an excellent traveler) and my daughter (17mo) hasn’t done anything like this yet, so I am gathering ideas and I love all of these! For a part of our trip, we will my cousin to be the babysitter in the back with the kids, but we have to be prepared! We regularly take 6 hour (one way) trips to see grandparents and have since my boy (now six) was a baby. We have the six year old, four year old, two year old and a 5 month old. And I’m usually by myself. I have yet to delve into the realm of portable DVD players. They each have a basket of toys they fill up and we put in the van the night before… Snacks/drinks are limited for everybody to reduce number of times we have to stop, because once we stop it all goes downhilll from there. I have tried the embroidery-the plastic needles quickly turned into darts and swords. I have tried the cookie sheets and magnetic games, can you say drum corps? 😀 We took a long road trip-two days driving 8 hour days-last year… So I tried the binder/crayon thing with things to color…. I ended up taking the iron to the van to take care of melted crayons. I have to say, I AM working on hubby to get a portable DVD player for our long vacation in the spring, South Dakota to Florida. In the car. Honestly, for US, I have found the best entertainment is the simple stuff. I had to stop overthinking and just let them play as much as car seats will allow. We pick up toys/trash every time we stop to start with a clean slate. It’s amazing what their imaginations will come up with. Of course the train tracks outside the window help A TON. For the baby food, I got the pouches that I could attach a spoon to. It made cleanup much easier. I still use the pouches for my toddlers because it’s a quick easy and nutritious snack. I love this list! We recently did a 5 hour road trip and have a 12 hour trip coming up. For my 21 month old, we have the talking dog by fisher price and an ipad loaded with his favorite movies. 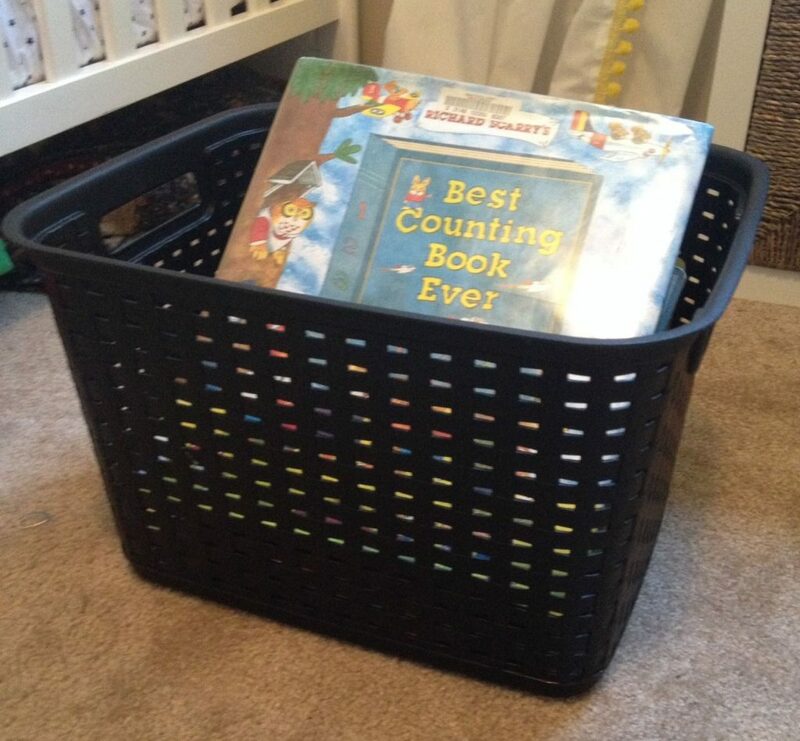 My son also has books, he loves flipping through them. OH! And the basket trick is AWESOME! I now keep one in the vehicle at all times. We loaded up on Bubble Guppies DVD and a portable DVD player. Each DVD had 5 episodes so we just swapped them out when they ended. When we started our trip back, our DVD player QUIT WORKING! So we stopped by the local Walmart and got a new one. There was no way way we were traveling 26+ hours with out one! Hi Carrie! A bag of activities is fun too! I think we’ll do that when they’re slightly older. Right now, if the 1 and 2 year old each had a bag, they’d just dump it out in the first 20 minutes and we’d still have 7 hours to go – ahh! i may or may not have dreams about minivans with dvd players 😉 haha some day. a momma can dream! Great ideas! I don’t think there is any shame in using electronic devices on road trips. We totally played Cars over and over again for our 2.5 year old for hours and actually fried the portable player on our trip this spring . . . 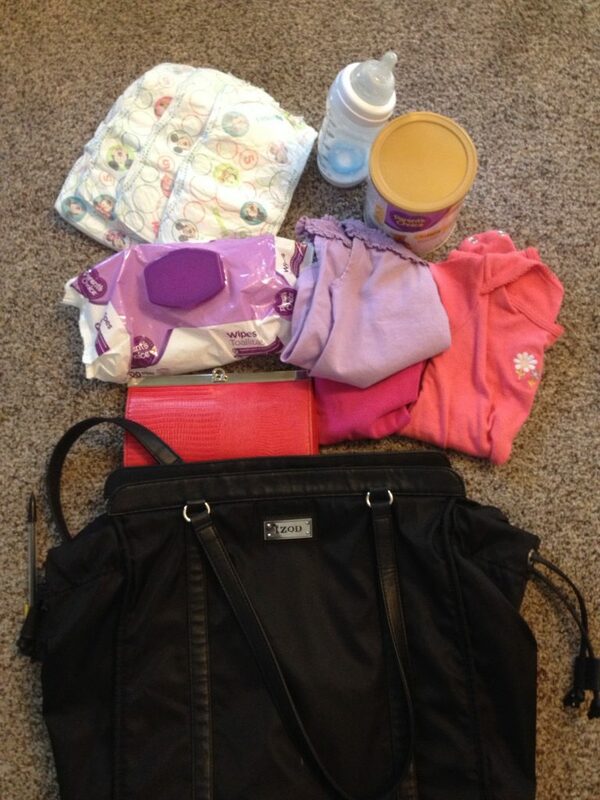 I pack each child a bag of activities, but I love your organized method!